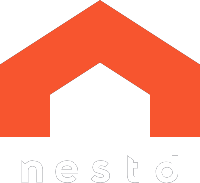 Nestd™️ was established to meet the growing demand for affordable, sustainable compact homes. Whether you are looking for a smaller environmental footprint option as a country/beach getaway, a stylish addition to your backyard to accommodate aging parents or adult children, or you are simply wanting to generate some additional income, we have a solution for you. Nestd™️ has reinvented the Granny Flat, updated the backyard cottage and redesigned the accessory dwelling unit. Compact living has never looked so good. Nestd™️ offers end-to-end manufacture and construction. We can work with you to organise planning and permits and connection to services. . Our designs are not constructed on trailers and therefore offer a safe and secure solution which can still be relocated if required. Nestd™️ is a social enterprise of Kids Under Cover with 100% of the profit from every Nestd™️ home sold directed back into Kids Under Cover's charitable work. The Peak is designer living at its best! Cleverly designed for Nestd™️ by global leaders Grimshaw Architects. Its double-height entrance is punctuated with large glass panels to enhance the sense of space and allow an abundance of natural light into the interior. The kitchen, bathroom, laundry, bedroom and couch spaces are integrated into one cube-shaped pod, envisaged as a beautifully detailed piece of joinery. The segmented living areas maximise use of space with intelligent storage solutions incorporated into the design. With a 32.5sqm footprint, this sophisticated compact home utilises a prefabricated design to provide an affordable, sustainable and modern way to live. The Peak is built using structural insulated panels (SIPs), lined with ply and finished with a metal exterior cladding, providing a very striking finish! An energy rating showed this building performed well above 6-stars. The SIPs use EPS a non-toxic building material that contains no formaldehyde. The airtightness that can be more easily achieved with SIPs can also reduce the need for artificial heating and cooling and contribute to improved indoor air quality. This minimalist design can sit beautifully across the urban or rural landscape. Dimensions: W 5700 x 5700 H 4100. Designed by NH Architecture and Ortech Industries the Loft can complement any backyard or stand proudly on its own. The double height living space creates a dual purpose - either a bedroom, sitting room with balcony, or storage. The Loft is built with Durra Panel. The wheat and or rice straw fibres used in Durra Panel are a natural renewable annual resource which is an agricultural waste by-product from farming that would otherwise be burnt after harvest. With its high thermal mass properties, the Durra Panel allows for comfortable living all year round, it is sustainable and eco-friendly too. The Nestd™️ Studio offering a simple prefabricated design to provide an affordable, sustainable and comfortable way to live. With one-bedroom plus bathroom, and two-bedroom plus bathroom (or one-bedroom and living space) versions available, The Studio can be fully fitted and installed within 10 business days. Starting at just 18sqm these practical studios provide semi-independent living at an affordable price - ideal for keeping family members or guests close to the main home. Our energy saver studios include additional insulation and double glazed windows. The Maquette is a classic design by renowned luxury home builders Ravida Homes. It echoes the quality features of their bespoke full-size homes with striking pillars on the facade, Georgian panes in the windows and moulded cornices internally. The layout makes intelligent use of space and the overall effect creates a stylish place in which to live. The home sits on a 33.5 square meter footprint. Kids Under Cover’s successful Studio Program is at the core of our work to prevent youth homelessness. 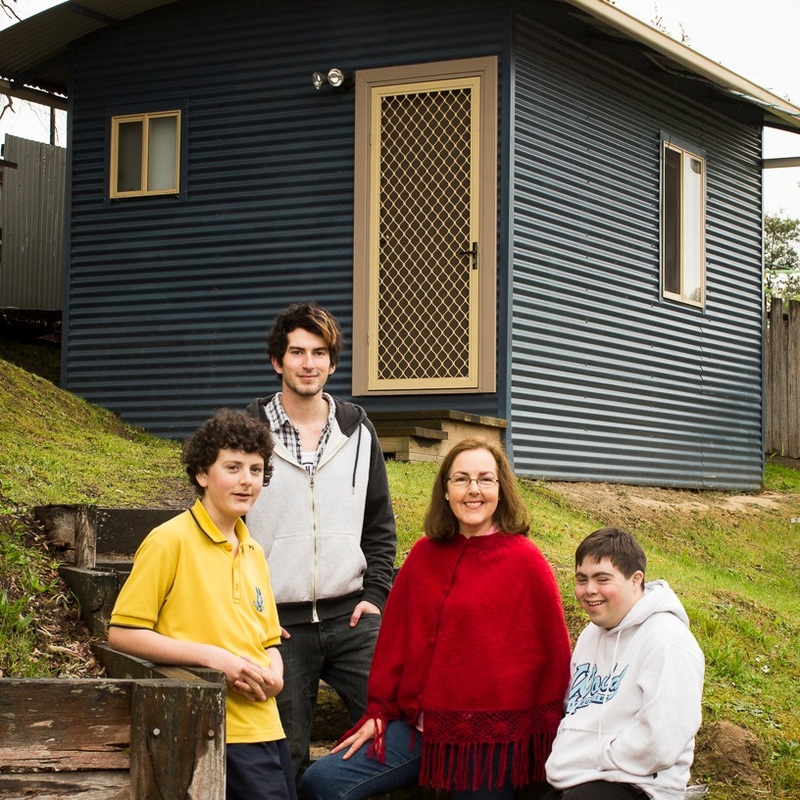 Fully relocatable one- or two-bedroom studios (with bathrooms) are built in the backyard of a carer’s home, providing secure and stable accommodation for young people at risk of homelessness. Scholarships to offset the costs of education/training can also then be accessed. Building on over 30 years of experience in delivering relocatable studios to prevent youth homelessness, Nestd sells backyard ‘small, compact homes’ into the private market, with all profits returned to the charity to help prevent youth homelessness. 100% of the profit from every Nestd home sold is directed back into Kids Under Cover's charitable work - providing life-changing studio accommodation in the backyards of family homes preventing young people from becoming homeless. With all this experience in building small living spaces, there is something nice in knowing your investment is also helping to make a real difference to young people at risk of homelessness. NestdTM is a social enterprise with all profits going to Kids Under Cover’s work preventing youth homelessness. 100% of the profit from every Nestd home sold is directed back into Kids Under Cover's charitable work - providing life-changing studio accommodation in the backyards of family homes preventing young people from becoming homeless. With over 30 years' experience in building small living spaces, there is something nice in knowing your investment is also helping to make a real difference to young people at risk of homelessness. Which home are you interested in learning more about? Does the Bushfire Management Overlay apply to your property? Is the property located in a Heritage Overlay?